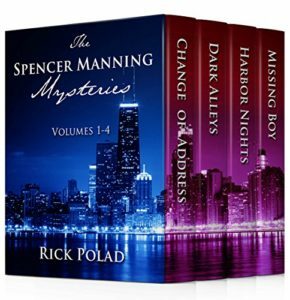 I have been lucky to have an idea for the next Spencer mystery before I finish the current book… until now. I have what I think is a great first paragraph and I know how, in the end, Spencer is going to catch the culprit. But I have no idea what the story is. The drizzle started during the drive to the cemetery. Rosie and I were in the Lincoln behind the hearse, holding hands in the back seat. She had forced me to bring an umbrella, even though I was sure it wouldn’t have the nerve to rain. On the way out, I had grabbed Mom’s favorite. It was bright red. Rosie had given me a look, but it was exactly the statement I wanted to make. Her dress and my suit were black, as were the hearse and the Lincoln and most of the cars in the procession. That was enough somber.